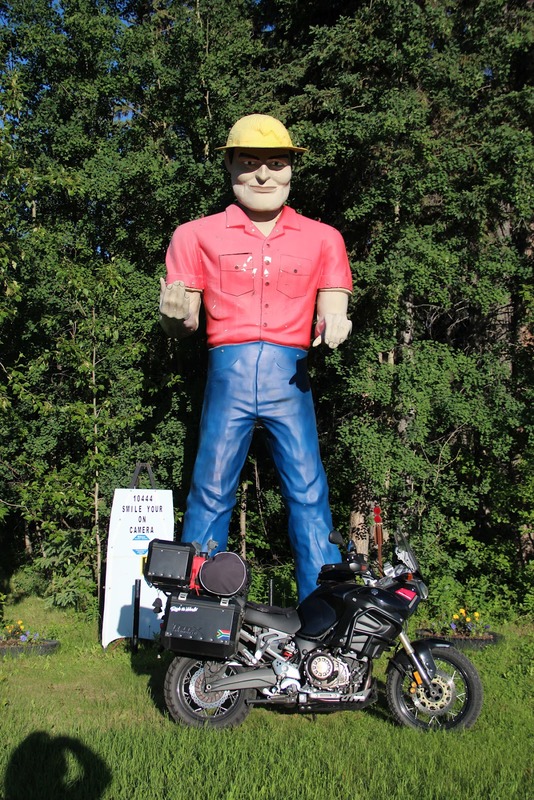 Dawson Creek, British Columbia and the first mile marker of the Alaska Highway, also known as the ALCAN Highway. 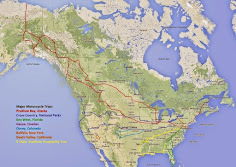 I planned my route with several milestones along the way and the ALCAN is the first milestone. Maybe there is a benefit to these point and shoot cameras. I was far enough that I could run if I had to. Oh the teasers!!! I would agree with Richard, unless it was something in my pocket I could pull out quickly. I'm just in awe of it being your big camera. I'm glad you took the time to do that though. I'm reminscing about some shots I didn't stop to take. I have the memories, though it it harder to share with people. 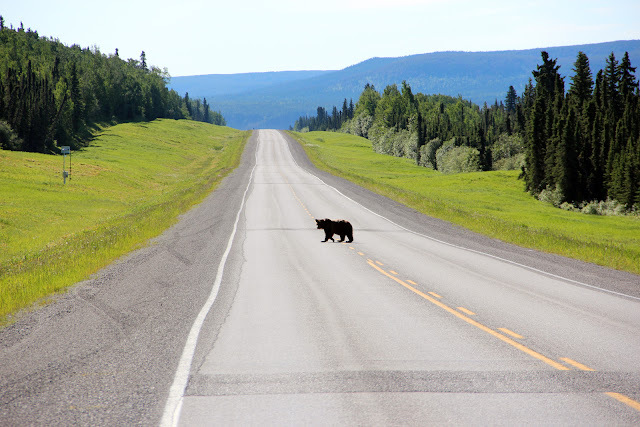 I am so impressed by the bear photo (when I encountered a bear on the highway both my hands were so busy with clutch and break that the camera never even entered my mind) Kodos. Thanks. I leave the bike running just to be safe, in any case, most animals will be okay with the noise, it's usually when you switch the engine off that it spooks them, deer are like that, I used to stop and turn the engine off and the deer would bolt, now I leave it running. Nice bear shot. And wow does it ever look windy in the video. I am sure you and the bike handled the wind just fine.